We recently came to the rescue of a local poultry supplier that had been searching (unsuccessfully) for an efficient poultry sanitiser to combat bacteria, especially Campylobacter, on their freshly processed poultry. Campylobacter is the most common cause of food poisoning in the UK and it’s therefore of the utmost importance to deal with its presence in the food chain. We’re always keen to rise to a challenge here at L and G and this was no exception. We got to work on the design and fabrication of a sanitising system that was capable of maintaining the constant, high temperature required to combat the bacteria, as selected by the client. The process uses hot water to sanitize the bird that is kept at a very high, consistent temperature (within 0.5º of selection) that the bacteria are unable to withstand. There is a call by the food industry and supermarkets for this practice to become industry standard, so at L and G Engineering we’re extremely proud to be at the forefront of developing this finely tuned process. Looking for an engineering solution within your food processing plant? 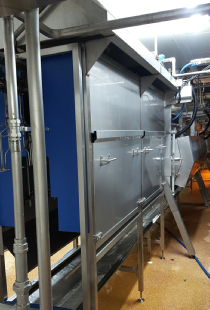 L and G Engineering are pleased to have recently installed new gas burners for the herb dryers at a popular East Anglian company. 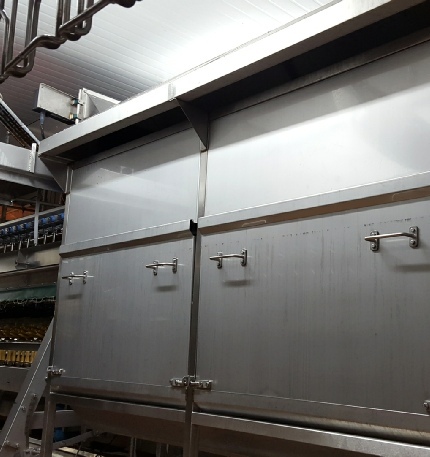 The flat bed dryer operates using direct-fired gas burners and a powerful fan, to ensure that the herbs are subjected to the correct, constant temperature for optimum drying. Take a look at our movie showing the herb drying process in action with the newly installed gas burners running. At L and G we’re highly experienced in gas installation and maintenance with industrial registration within the Gas Safe scheme, making us an ideal choice when updating your gas installations.